Paper and Ink Playground: Teapot Tuesday Mojo Monday - I'm Late, I'm Late for a Date with Will and Kate! 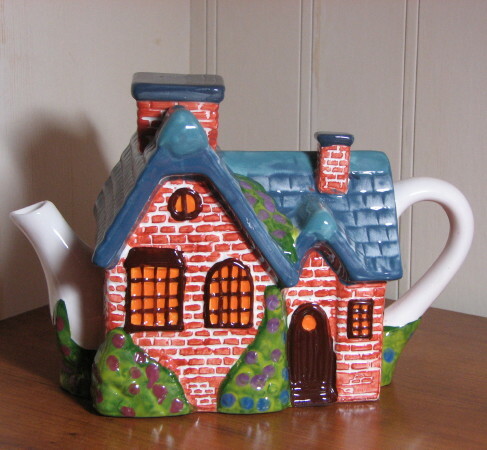 Teapot Tuesday Mojo Monday - I'm Late, I'm Late for a Date with Will and Kate! Yes, I'm late and so sorry to the email readers of my blog. I'm not sure if it's old age or what, but a couple of late nighters is all I can manage before I crash. This is the actual title of this week's MMTPT144 Teapot Challenge though. Our cards are going to Charlotte who lives in Everett, WA. Charlotte is in the final stages of cancer and is in a care center. We're hoping our cards bring her a bit of joy in these final days. I used the Mojo Monday 189 MOJO189 sketch for my card for Charlotte. Oh what a fun card! Love the one colored house and those cute little heart brads. Thanks for playing along with Mojo Monday!